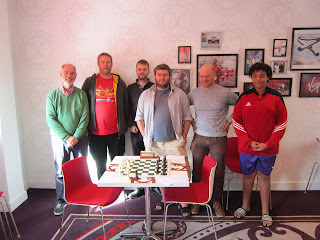 Last weekend Bury St Edmunds Chess Club travelled to Norwich to play against Broadland Chess Club (recently voted ECF club of the year) for the Norfolk & Suffolk Cup; an annual event that sees the best team from Suffolk play a six board match against the best team in Norfolk. This year, to make the journey easier for the away team, the final was held in the Virgin Money Lounge in Norwich city centre; a very nice venue indeed. 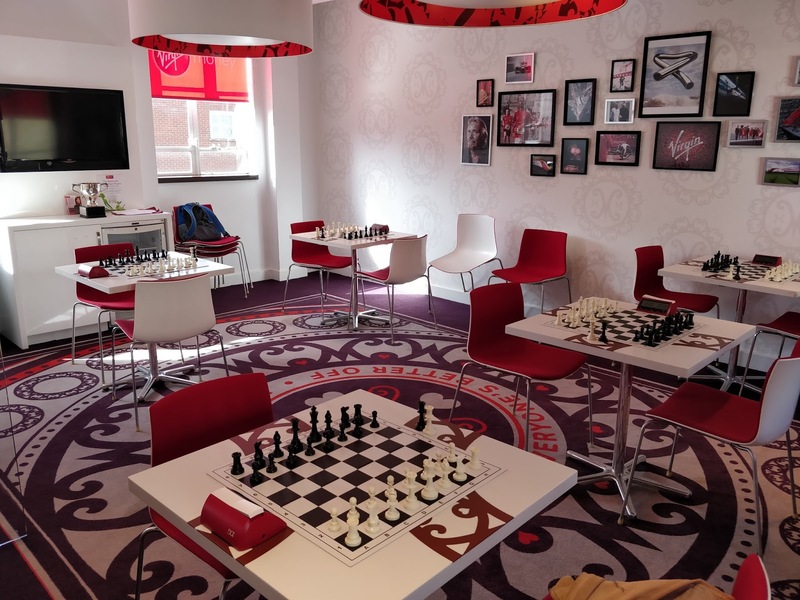 The playing room was pretty fancy, but also quiet, and conveniently adjacent to an airport-style lounge area that provided unlimited tea, coffee (from a decent machine) and a selection of biscuits and fruit. Bury's only winner was Jaden Jermy, one of Suffolk's promising juniors, who has annotated his game (below). Both players managed to get through the opening unscathed after which the game became fairly tactical. Eventually the players reached a knight v bishop endgame. Jaden managed to control the endgame very well by placing his remaining pawns on opposite-coloured squares to his opponent's bishop, which allowed his knight to jump around the board with joy, pestering his opponent's remaining King, bishop and pawns. 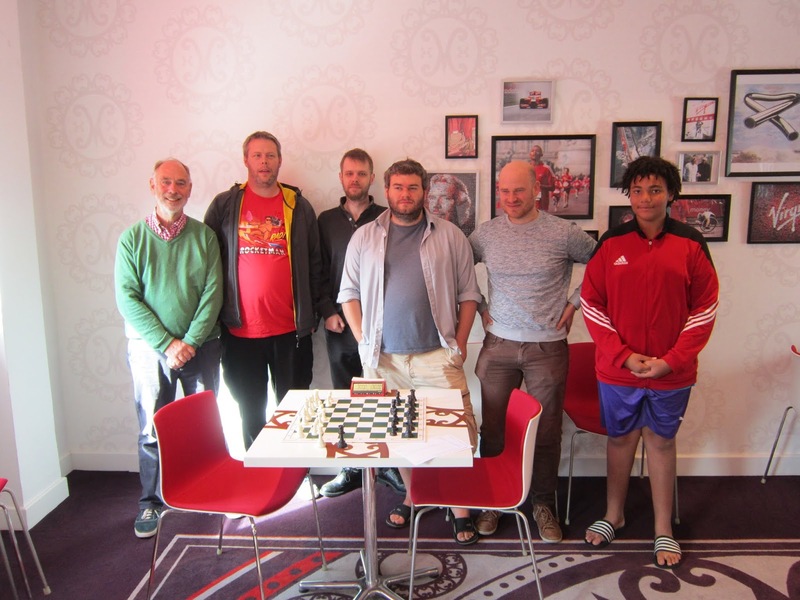 Stephen Ruthen, John Peters, Mark Le Vine, Jon Collins, Edmund Player and Jaden Jermy.